The Spices Board is the Indian government regulatory and export promotion agency for Indian spices. The board is headquartered in Kochi. Subash Vasu is the current chairman of Spices Board. Applicants who have completed B.Sc or equivalent from a recognized Institute for Spices Board Recruitment 2018. 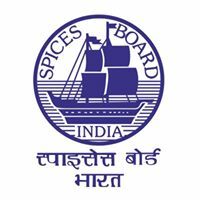 Eligible & Interested candidates can Download Notification From Official website page at www.indianspices.com Spices Board Recruitment 2018. Date to Walk in Interview: 07.12.2018, Reporting Time: 09 a.m., Starting Time: 10.00 a.m.